We hoped and believed that this would be our metro. We expected things to be different here. And we were familiar with some of the horror stories from the chaotic gangster capitalism of the perestroika period. But today we had a somewhat alarming experience which shows Moscow to be still on the borderlands of civil society, thirty years after the collapse of the Soviet Union. To set the scene : in Moscow there are few estate agents that a Londoner would recognise, at least if they are hoping to rent a flat. The agent is not trusted to hold the key, so it is impossible to view a property until the owner is at the property accompanied by the agent. This slows everything down, of course. And reflects the breakdown of trust in Moscow ( it is different in the frozen north of Archangel, by the way, which has a civilised property market ) as does the insistence on large sums in cash for deposits and landlord commissions, which must be paid by the tennant not the landlord. Now London has a cash economy too, and plenty of ‘ rogue traders’ but I feel certain that it does not approach the levels here. 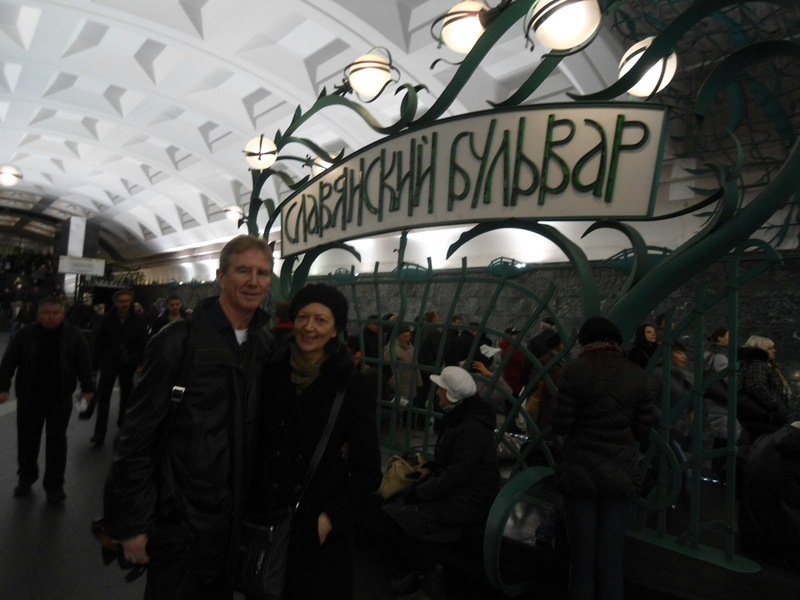 My confidence comes from the sheer numbers of Muscovites who shake their heads in dismay at its prevalence in Moscow. They make no attempt at patriotic rebuttal. Elena and I had found an agent who had advertised a property on line. The agent told us that we could view it when he could arrange for the owner to be at the property. We met the agent and a man whom Raymond Chandler would have described as a Goon - burly, thick set, a gangster swagger as he walked, auditioning for a part in a Tarantino movie, an executive operative in the security industry, with front line experience, including a long spell involuntarily behind the lines. This walking wall was not,in fact, the ownwer. He was there to check us out for gullibility and respectability - we could be intimidated by bluster. Whilst we looked around the flat, the Goon was on his mobile to his boss - he is Anglacheena ( English ) about fifty, she is Rooska, about forty. So far so good, he was ten years too low! We liked the flat as well. We agreed to take it. we were told the owner would meet us at the flat the following day to exchange contracts. We would need a large sum of money in cash: one months rent in advance ( equal to £800 ) plus the same amount as a commission to the agent plus a damages deposit to the same amount. all in cash! Nothing else, even direct bank transfer, was acceptable. Next day, after some considerable inconvenience, we arrive at the flat with cash and meet the Goon and the agent. We arrive at the door of the flat, which is in a large block of flats. The Goon knocks at the door. He tries to use the key. He tells us the owner is inside, and tries to raise him on his mobile. More knocking - no answer. The agent is beginning to show signs of embarrassment. Ten minutes pass with futile attempts to use the key and knock on the door. There stands a bare chested, pugnacious impersonation of a pit-bull terrier. Clad only in track suit bottoms, his nose red with the results of ardent spirits. We walk in. He, the semi - naked dangerous dog, barks at us to remove our shoes. Elena protests that she might not want to, and he barks with canine anger that it is his flat and he wants it clean. I don’t speak Russian, but say to Elena that we will remove our shoes if he puts on his shirt. We removed our shoes but he remained exposed. The Goon is lifting an ancient television set into place and removing a bigger, but equally ancient one. Elena asks why the television is so old. He barks back in dog that it is a flat screen! Elena asks why there are no pots, pans, plates etc in a furnished flat. He barks back in dog a question - can’t you buy some? 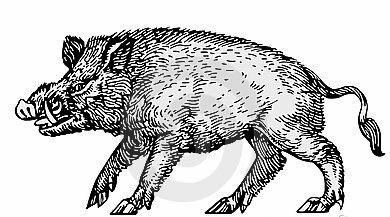 The pit - bull turns into a wild boar, a pugiistic pig, spitting, blustering, stamping his trotters. You western, he grunts, my under 16 year old daughter owns this flat, I can’t get a document. or I can tomorrow. 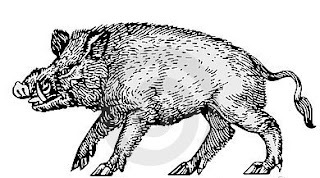 A non - sequitor follows this grunt - the flat is insured! If anything goes wrong, you can fix it. Good luck, we said, and left to look another day for another flat.